Walt Disney Co. CEO Robert Iger and singer Katy Perry spoke at the 11:30 a.m. PST ceremony in front of the Disney-owned El Capitan Theatre on Hollywood Boulevard. Perry is among the judges on "American Idol,'' which will make its debut on Disney-owned ABC March 11 after 15 seasons on Fox. The star is the 2,627th since the completion of the Walk of Fame in 1961 with the first 1,558 stars. The ceremony was livestreamed on walkoffame.com. Minnie Mouse was part of the first animated film featuring Mickey Mouse, "Steamboat Willie,'' which was released in 1928. Mickey Mouse received a star in 1978 for the film's 50th anniversary. 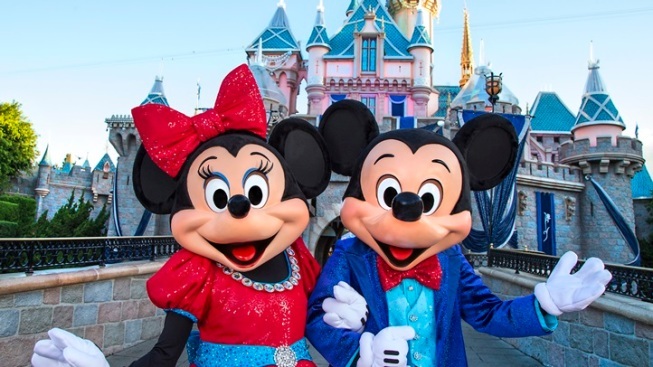 Minnie Mouse is known for her polka dot attire and the ceremony coincides with National Polka Dot Day. She is joining such other animated characters as Donald Duck, Bugs Bunny, Woody Woodpecker and The Simpsons with stars on the Walk of Fame.